The different types of enemy ships attack in waves. Each type of ship has different weapons, attack style, and AI. To fire rockets, right click your mouse. Advanced clone of Space Invaders. Very Popular. Try it! Space adventure role playing game online to play. Dash around collecting as many stars as you can before the timer runs down, with unique game play, pesky charge imps chasing you around, and black holes waiting to lure you in, you are sure to get sucked in to this instant classic! Intelligent GPS camera. Locates and identifies over 6,000 stars, planets, and constellations from built-in database using this astronomy hand held electronic device. Simply point the SkyScout at any star in the sky and click the target button. Awesome!! 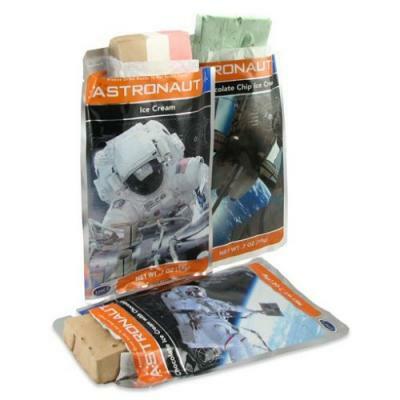 First made for the Apollo missions, freeze dried ice cream has been a favorite of geeks ever since. Three flavors available: Neapolitan, mint chocolate chip, and chocolate chocolate chip. It can be stored (unopened) for up to 3 years. 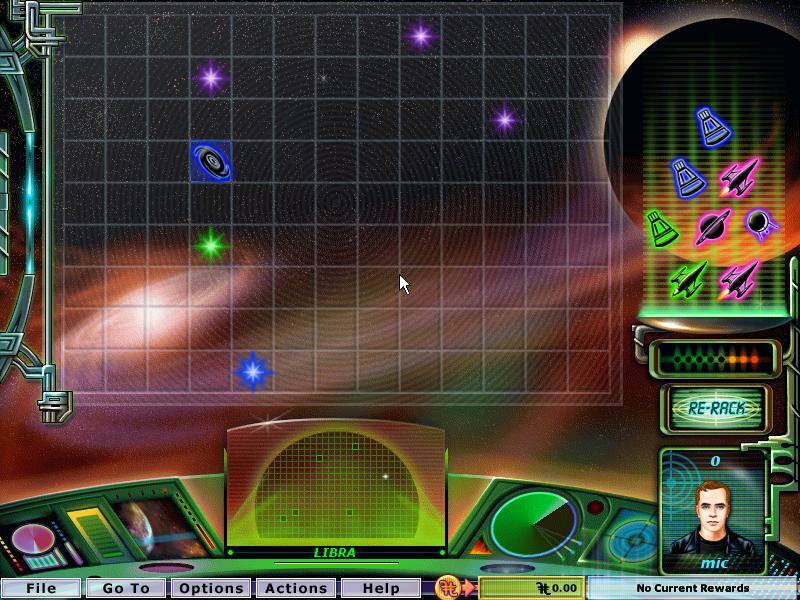 Starship Seven is a fun online game to play. You have to move around obstacles with a space ship. Looks like Lunar Lander game. Fire missiles at obstacles. Play Guess the Constellation. 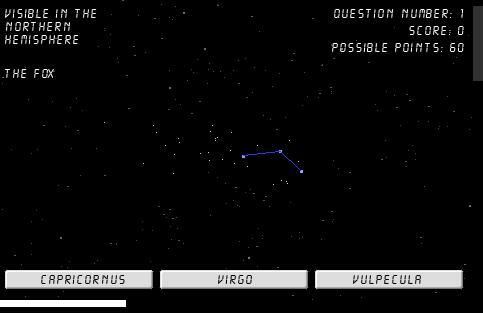 Try to guess which constellation is shown in this astronomical quiz game. Educational screensaver with an outstanding 3D model of the solar system. 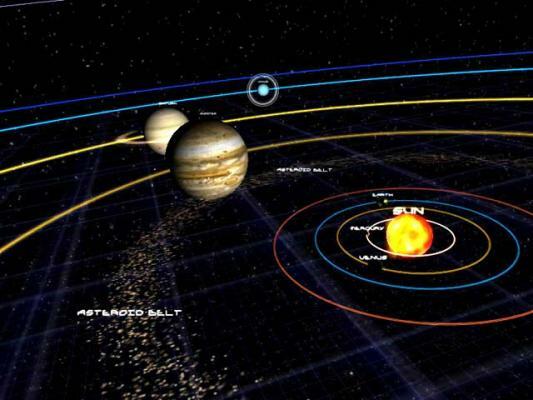 Learn about the rings of Saturn, planet trajectories, planet satellites and more. Zed is an android. But unlike other androids, he has always had a very special dream - to sport a spacw suit entirely made of gold. 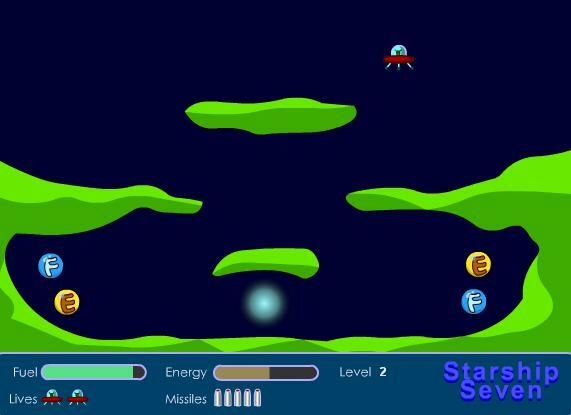 Space jumping platform game. Ever wonder where all those cows go? Play the classic game of moon lander and press Space Bar to activate tractor beam to pickup cows. 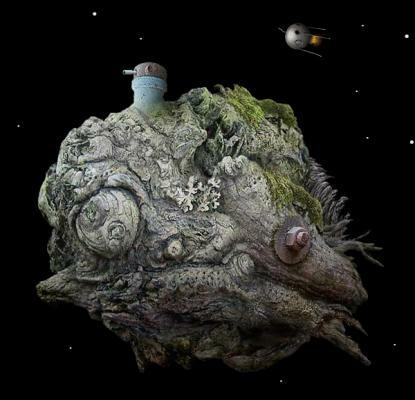 Hoyle Star Collector is a strategy game of space exploration. 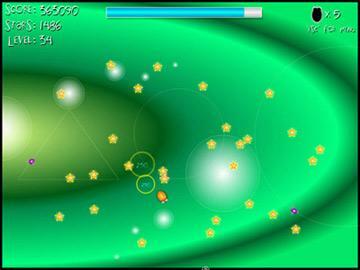 The object of the game is to collect enough stars on each level. 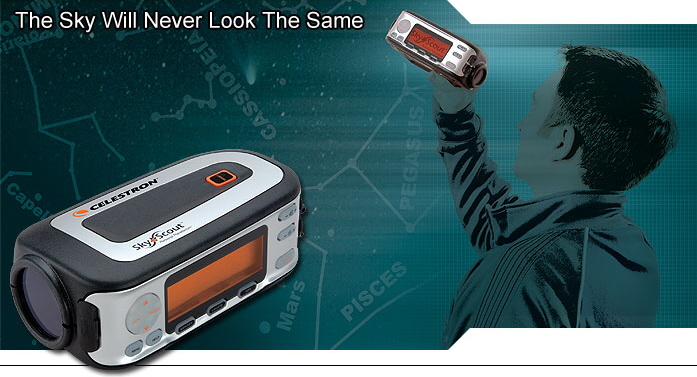 There are visible stars and hidden stars, that you can find using your sonar. Rescue mission. Avoid the meteors and space rocks that will destroy your ship. 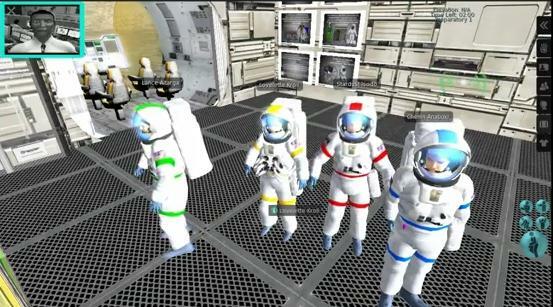 Manage your own 3-D lunar colony. Build colonies, create industries or Lunar golf courses, trade with Earth and alien races, or whatever, you are in control. 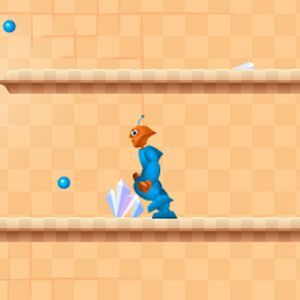 Collect All Bananas and navigate your spaceship using the arrow keys. Classic Arcade Video Game System Plug in TV and play Pacman, Digger, Car racing, Bosconian and Galaxian now! 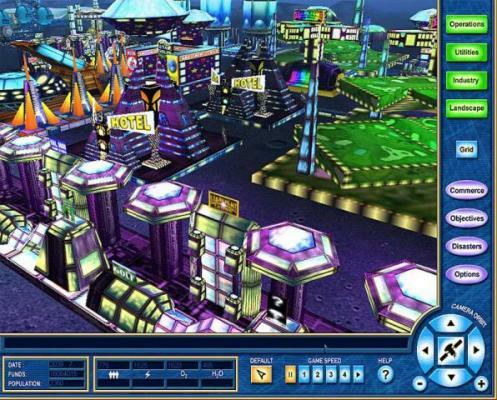 Critical Mass Outer space simulation game. 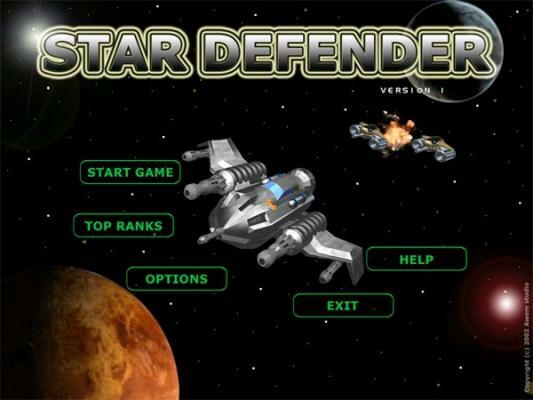 » Star Defender Your Space Ship is armed with unlimited primary gun (left click). Load your secondary gun during the game and shoot by pressing the Ctrl button. 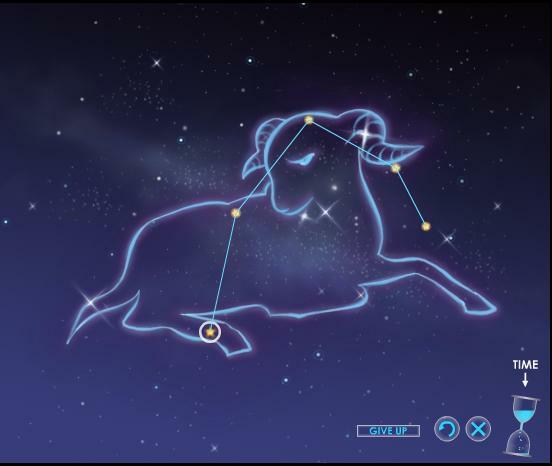 » Horoscope Constellations Find and trace constellations in the sky in this fun horoscope puzzle!